Korean BBQ is simply so good! Won’t you agree? Joy of grilling cuts of properly marinated high quality beef is such a delightful event whether or not you’re a BBQ aficionado. It’s a great social gathering. BBQing at your own table with your loved ones while getting on the side dishes with refreshing lettuces and bowls of steamed rice, we’re right in the paradise! But sometimes, just sometimes, it isn’t enough to satisfy our cravings for Korean feast! Enter Korean Seafood Pancake, also know as Pa-jeon. An awesome companion when you enjoy your Korean BBQ! If you think of Korean Seafood Pancake as a Western pancake’s variation with seafood, we would confidently say you’re missing out! Savoury? Deadly! 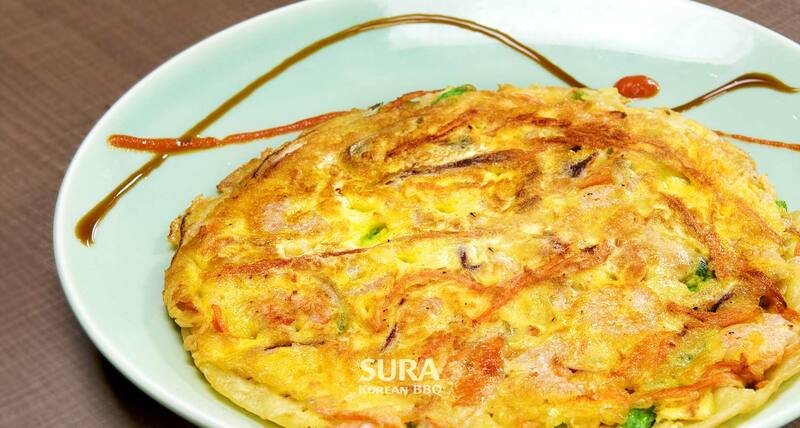 It is a savoury rice–flour pancake made with shrimp, squid, mussels, and scallions! Crispy but gooey inside, pancake made with fresh seafood and vegetables. The better news is you can easily make these pancakes at home for your family. Indeed it will serve as a fantastic home made snack for your children. Now if you’re interested, watch this lovely video at the following link, and start creating your family’s new favourite dish! Click here for the video! Enjoy bites of crispy Korean pancakes! !